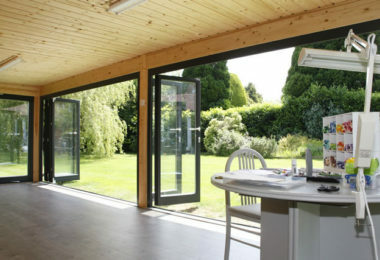 Running her own craft business from a contemporary garden studio, Francoise Read is able to look out onto her large garden and be inspired by her natural surroundings. “You are more or less sitting in the garden – you’ve got the sun coming in, all the light, it’s really airy, it’s perfect for my job, it makes me even more creative than I am already,” she says. Four years ago, Francoise decided that using the kitchen table to design her products for card and scrapbook making was just no longer practical and she needed a stand-alone space. “I’d have to push everything aside when we wanted to have breakfast,” she laughs. 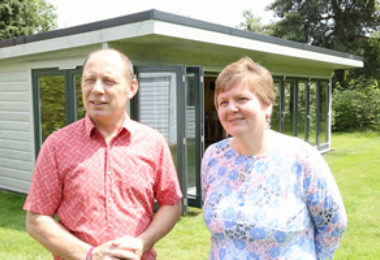 A garden building was an obvious choice and she, and her husband Paul, visited Norwegian Log’s showroom in Reading. 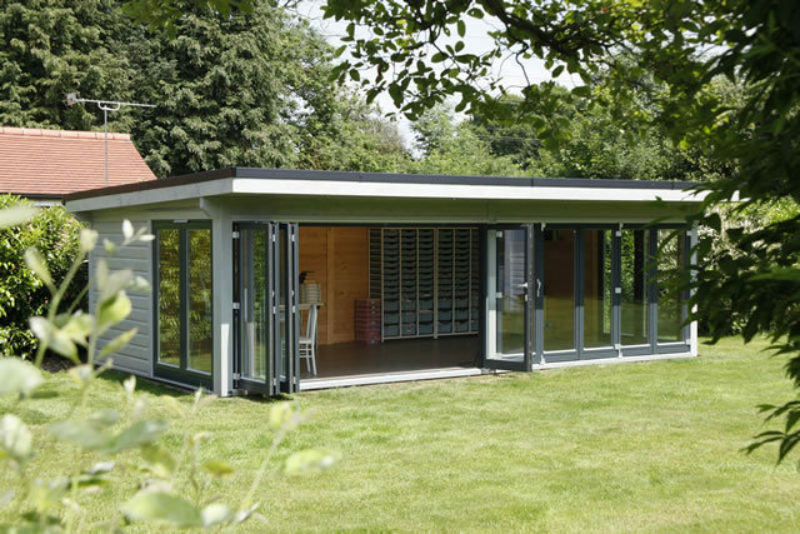 The Reads chose a 7.5 x 4 metre garden room, the largest model under 30 square metres, so not requiring building regulations or planning permission. “It’s somewhere for me to get away, to be in my own zone. 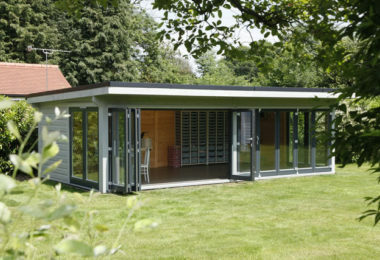 I absolutely love it and it’s been a brilliant addition to the house,” she adds.